Supervisors and managers who supervise people doing FMEAs. 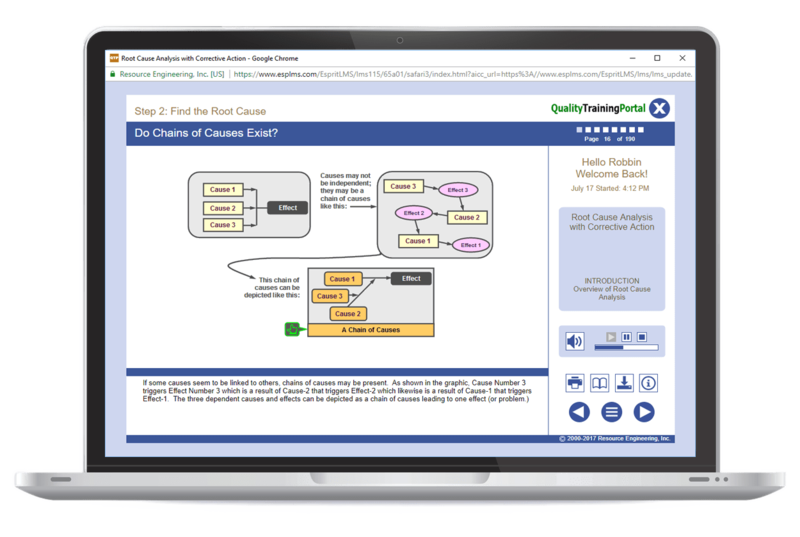 This online training introduces learners to the basic concepts of conducting a Failure Mode and Effects Analysis. It is ideal for managers and supervisors who oversee teams responsible for conducting FMEAs, but who will not be actually serving on the FMEA team. For more in-depth, step-by-step training on how to conduct Design and Process FMEAs please see our FMEA Training online course. Learn FMEA terminology and understand how FMEAs helps identify risks, prioritizes the risks relative to one another and focuses efforts on an action plan to reduce the risks. Understand how FMEAs add-value to the organization. Six important ways FMEAs add-value. An explanation of the differences between a Design-FMEAs, Process-FMEAs and Software-FMEAs. Six best practices to get the most out of FMEA studies. Describe what an FMEA is and why an FMEA is used. Explain the differences between a Design-FMEA and a Process-FMEA. Explain how the systematic FMEA approach getting us to dig into the details of the product or process under study to identify potential risks. Define how an FMEA helps identify risks, prioritizes the risks relative to one another, and focuses efforts on an action plan to reduce the risks. Describe the role of a Subject Matter Expert when conducting an FMEA study. List the 10 steps used to conduct an FMEA. Explain how the standard FMEA Analysis Worksheet is used to organize data and present the findings of an FMEA study.